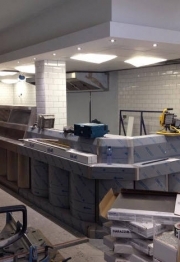 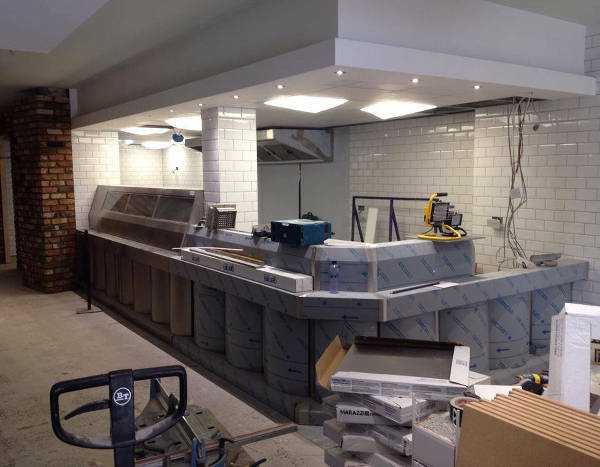 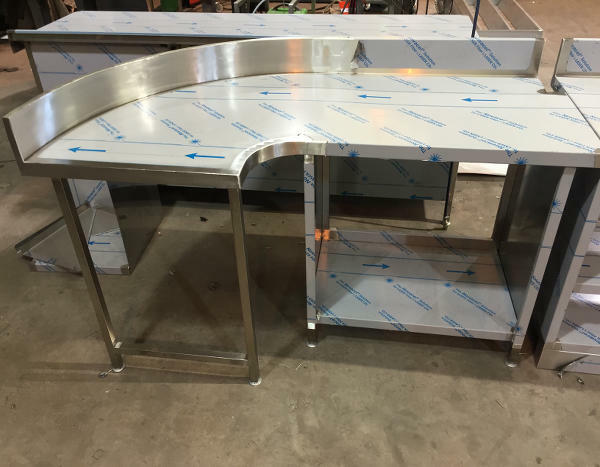 Design, manufacture & installation of bespoke stainless steel catering fabrication. 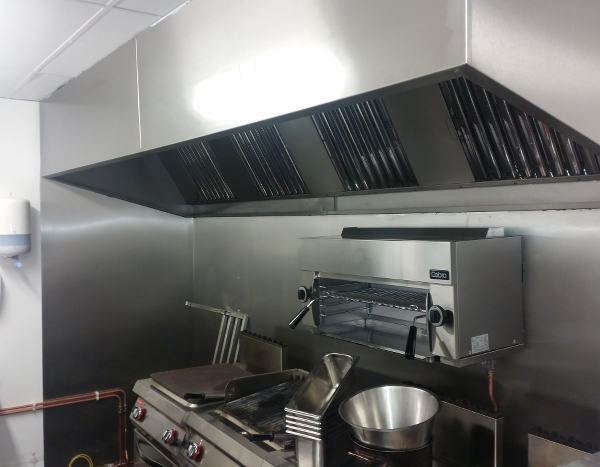 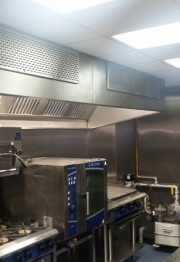 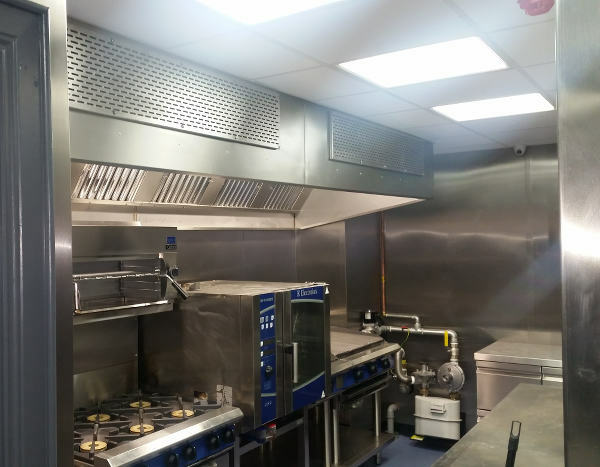 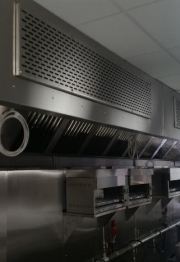 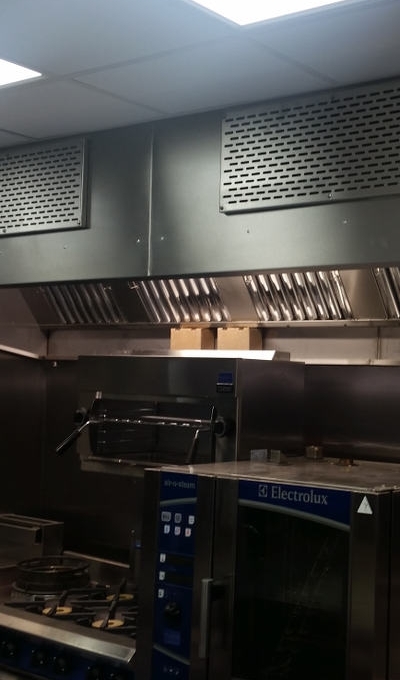 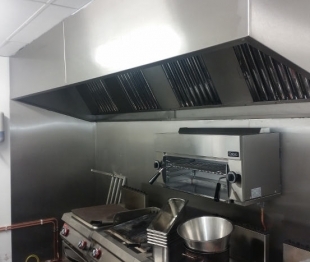 DM Laser-Fab have well over twenty years experience in the design and manufacture of top quality stainless steel equipment together with associated air control systems for commercial kitchens, manufactured to exacting standards. 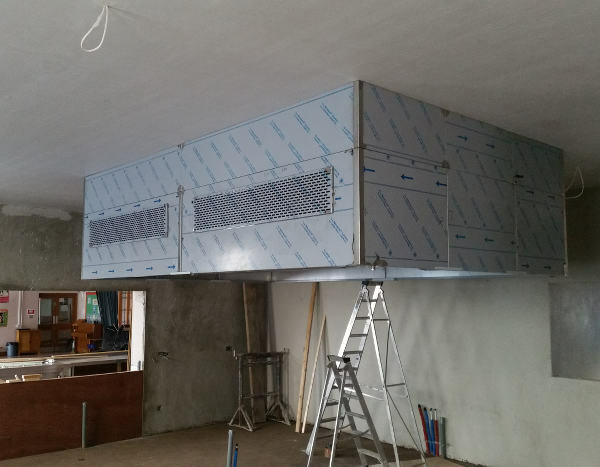 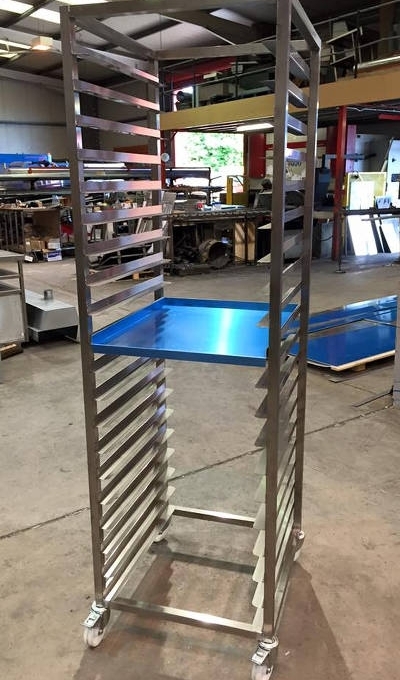 DM Laser-Fab are quite simply, one of Northern Irelands top manufacturers of bespoke stainless steel catering fabrication, producing a wide range of fabrication to meet every requirement. 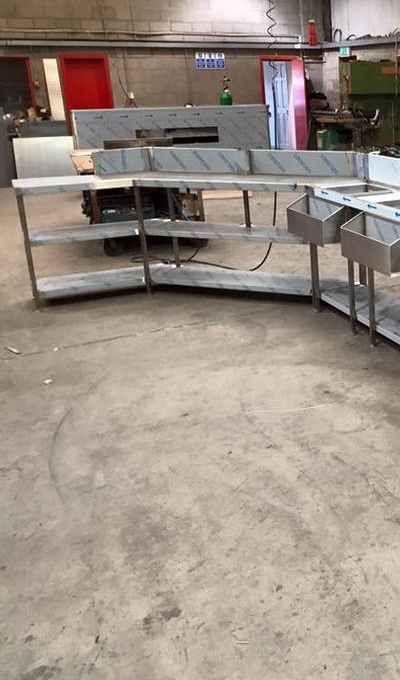 Benches, sinks, racking, dishwash tabling, wall shelves and cupboards can all be made to measure in order to suit the needs of each individual customer. 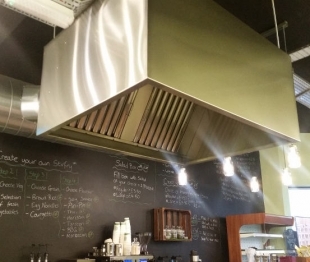 DM Laser-Fab specialise in the design manufacture and installation of industrial kitchen extract canopies. 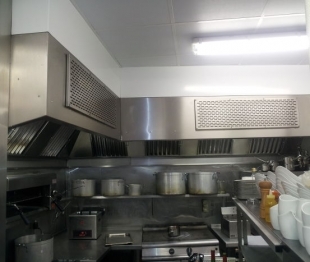 In essence an extract canopy is a device intended to collect contaminants from above a cooking appliance and remove them from the room. 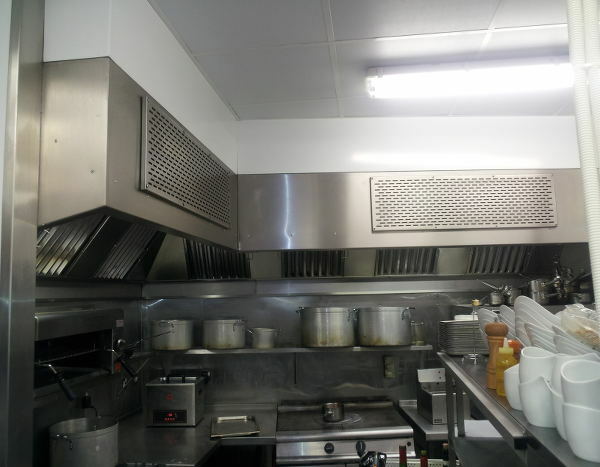 Canopies are designed generally in accordance with DW/171. 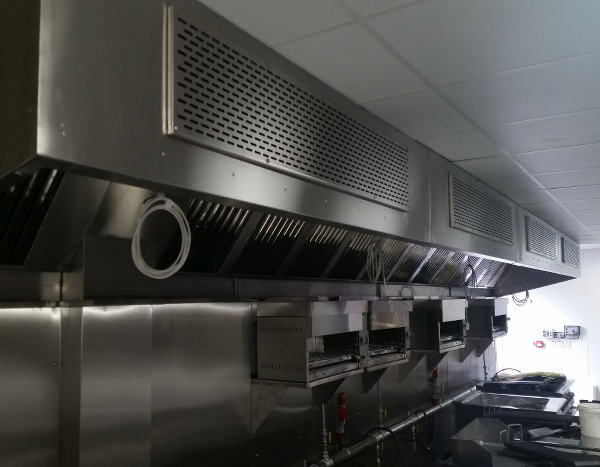 Each canopy contains a full length stainless steel grease filter housing, which can contain either single or double sided filter banks. 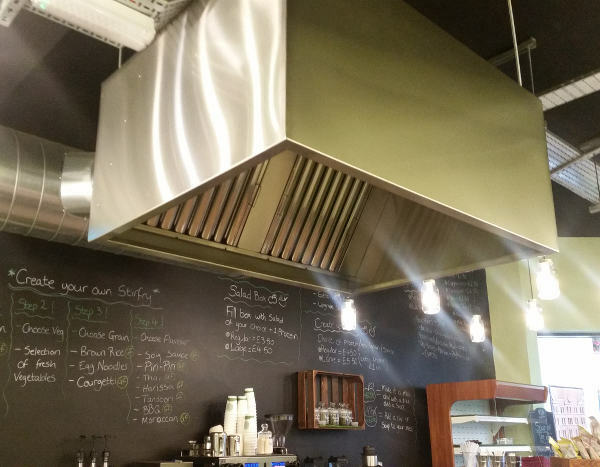 Canopies are constructed from 1.2mm (18G) thick, grade 304 satin finish stainless steel, and have an all welded construction with a perimeter condense channel, complete with drain plug contained with the channel. 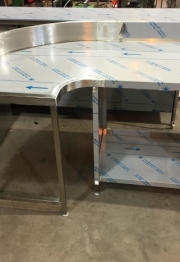 All joints and seams are fully welded and/or liquid tight. 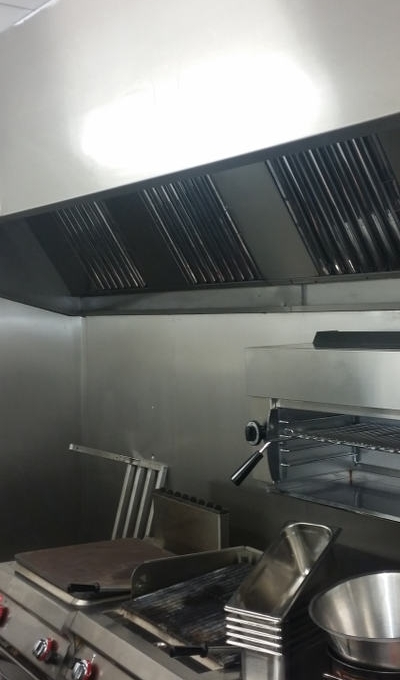 Washable stainless steel mesh or baffle type grease filters are provided with drain holes punched in the bottom leading edge. 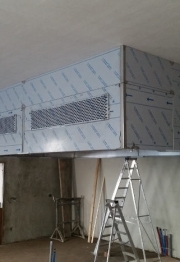 Vapour-proof fluorescent light units can also be provided within the canopy if required.